There is nothing more irresponsible or inflammatory than placing the burden of remedying the racism and structural inequality on which the United States was built squarely at the feet of the marginalized. Your lectures will not save us. I, too, would have been heartened to see the Clippers sit out of their Saturday night play off game. But their choice to stage a silent protest and play is not a disappointment to me nor does it make them "slaves" as Tavis Smiley suggested. It makes them human--as most of us are. Even when we are exploited and degraded, Black people are not ever allowed the space to be human. If, for a moment, we are conflicted or confused about how to navigate systems designed to disempower and divide, surely our character will be called into question by "revolutionaries" who would sooner berate us for failing to display exceptional feats of courage than demand the same of the white racists who wield power. Black people understand that we neither suffer the same costs or consequences. 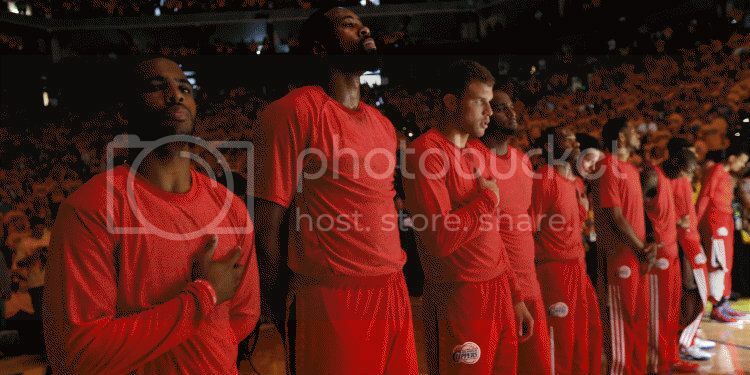 Clippers Owner Donald Sterling faces no punishment for his decades of documented racism. In fact, if forced to sell the team, he stands to make hundreds of millions of dollars in profit. Doc Rivers and his team chose to continue the work they begun because any action they take on or off the court would be merely a statement to a man who can buy anything (even an award from a storied civil rights organization). Marginalized people choosing to protect our safety, security, and self-interest are not cowards. We make these decisions not because we are lazy but because we lack the safety nets that cultivate audacity. We know that the playing field is not level, and the rules could change at any moment. The self-righteousness with which so many talk about the Clippers decision befuddles me because most of us would have done the same or less, yet we expect these men to perform the heavy lifting that we, ourselves, refuse to do. Recognizing risk and choosing to survive is not cowardice. I'm tired of ahistorical arguments about a Heroic Black Past. My deep appreciation for the sacrifices of my foremothers and forefathers does not prevent me from understanding that most went to work everyday to pay their debts and care for their families. A great many did not march, sit-in, revolt, or rebel. I've long heard stories of black men averting their eyes as whites passed because they wanted to stay alive. They were not cowards. They chose to survive. I'm tired of of presumptions about the apathy of young, Black people. Black Millennials, strapped with the largest debt load in history for acquiring the education everyone told us would be the ticket to freedom, understand that risk is real. We know that if we quit our jobs, or even if we die, Sallie Mae will continue to pursue our parents' already depleted retirement funds for restitution. Most of us do what we feel we can afford to do. I am grateful for the heroes -- the Fannies, Rosa and Ellas just as I am grateful for my mother and grandmothers -- the everyday people who made my existence possible because they survived. We could all do more. Everyone thinks they're a revolutionary until it's time to put their own life or livelihood on the line. It's far too easy to critique what someone else should have done when you have nothing at stake. If you believe "cooning" and cowardice to be Black America's greatest problems, then you have imbibed the toxicity of white supremacy. I celebrate those who do the work everyday. I hope that we will all fight for liberation and pray that when those who experience oppression see opportunities to disrupt the status quo, we will take them. But before you point to someone else's inaction, be real about your own ability to make the hard decisions. Reflect honestly on what you're willing to surrender and if you have the ability to do so. Racism is not a Black problem. We cannot dismantle it ourselves. Calling on those who have the most to lose to take the most dramatic action isn't noble. Peddling Black pathology doesn't make you a truth-teller. Chastising black people for being human doesn't make you a hero. If you want to see a change, make it. Take the lead, but don't you dare argue that we are not free because we didn't fight hard enough. Spare us.